It’s hard to encapsulate “giving back” in a single definition. That’s why my colleagues at Astellas USA Foundation and I like to refer to giving back as Living Smart. Living SmartTM means preparing communities today for what can happen tomorrow. Astellas USA Foundation and Astellas Corporate Social Responsibility (CSR) align on this mission and collaborate to create positive impact to society. Our goal is to help the communities where we live and work access the resources they need to flourish and face the future with confidence. From the people who donate their time, to the grant recipients who work within their local communities, getting involved is more than just donating time and resources – it’s about working together. Over the past decade, giving back has meant contributing to our communities to empower the next generation of leaders with a healthier, more sustainable future. With this, Astellas USA Foundation rests its contribution priorities on three focus areas: health and well-being, STEM (Science, Technology, Engineering and Math) education and disaster response. This commitment is reflected in both the grants the Foundation awards to charitable organizations and in its collaboration with Astellas employee volunteers. Armed with the Living Smart motto of “Together, We’re Making a Difference,” these dedicated teams contribute their time and skills to support our partner organizations to be the change needed in their communities. Whether it’s providing transportation for children with special needs to access the healthcare that they need, or donating VGo robots to help children connect with their families from their hospital beds, Astellas USA Foundation is there to help patients live healthier, brighter lives. Knowing that only 16 percent of high school students are proficient in math and interested in STEM careers, and that 80 percent of future jobs will require STEM skills, we saw the need for STEM programming and launched our STEM education platform, Science WoRx™. Through this program, we’re partnering with nonprofit organizations and Astellas volunteers to encourage more careers in STEM. We are inspiring the next generation to have the confidence to pursue their interests and develop innovative, sustainable solutions for our world. We are also providing resources so that communities are prepared when disaster strikes in an effort to reduce the impact of tragedy and rebuild hope. By working together, we’re transforming the quality of life for patients, students, educators and families across the Americas. 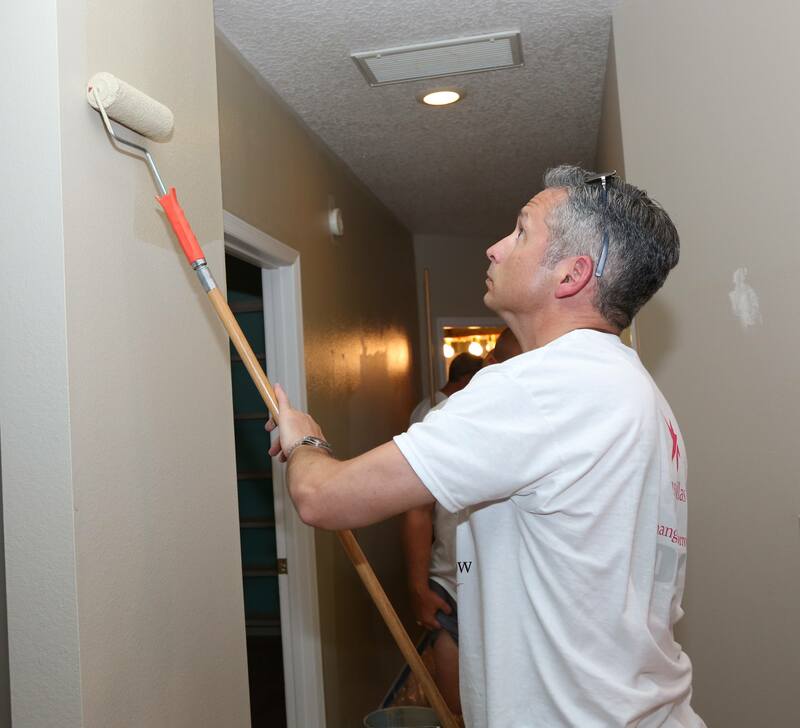 The work of Astellas USA Foundation and Astellas CSR does not end there. We’re driven more than ever to connect with communities and work with volunteers, organizations and potential grant recipients to join us in our mission to meet today’s challenges through giving back. Together, with a united front, we can prepare for tomorrow while enriching the lives in the communities where we serve today.